What a remarkable achievement! PinkyParadise has reached 100,000 Facebook Fans on December 2013!!! Our heartfelt thank you for the tremendous support over the years! To celebrate our incredible milestone for 100,000 Facebook Fans, we will be giving away up to 101 sets of holiday gift packs (inclusive of 1 x Grand Prize and 100 x Consolation Prizes) to our lucky Facebook Fans! Click here to join 100,000 Facebook Fans Thank You Giveaway! Gain bonus entries and increase the chances of winning by SHARING the giveaway on your timeline! Note: Your bonus entries will be added into the total entries directly. 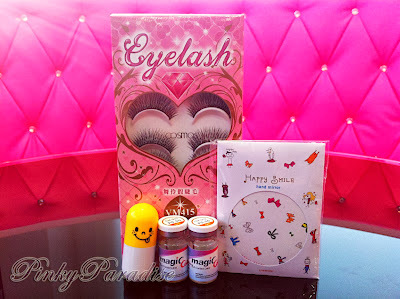 You have to like PinkyParadise Facebook Page to be eligible to join the giveaway. Participants can gain up to 10 extra entries by sharing the giveaway on their timeline. Every successful referral will receive extra one entry into the giveaway. Each participant is only entitled to win ONCE in the Giveaway. The Giveaway period begins from 26th December, 2013 and will end on 5th January, 2013 (World Time). The giveaway will be closed without prior notice once we hit 50,000 entries. 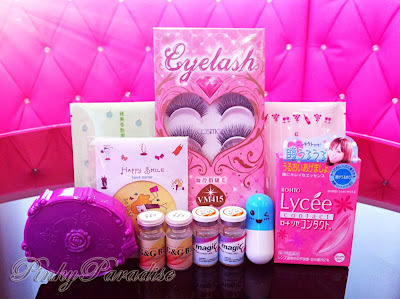 Winner will be selected randomly by PinkyParadise.com. Appeals to check the status of entries will not be entertained. 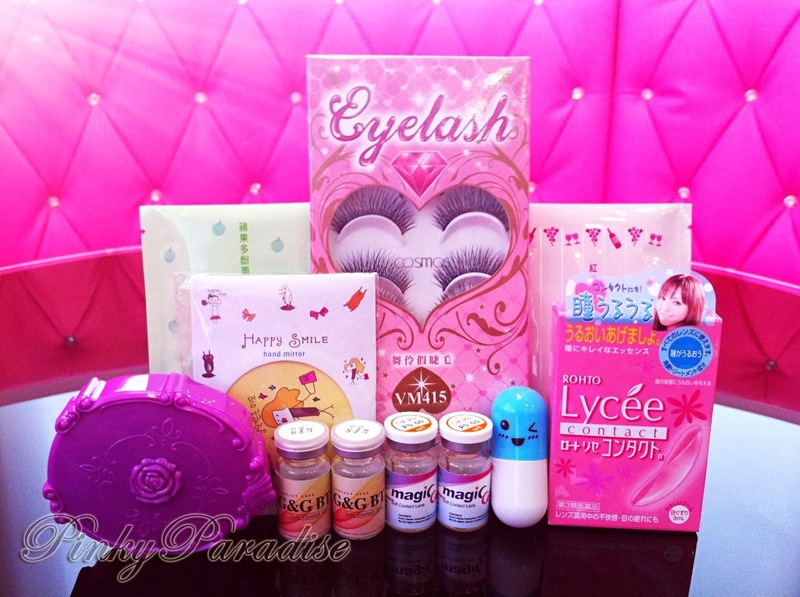 Winners can choose their preferred circle lenses and prescriptions from PinkyParadise.com (subject to availability) except for toric circle lenses and Princess Pinky Twilight Series. Winner will be announced on 7th January 2014, and contacted via email to arrange the delivery of gift packs. If the winners cannot be contacted or the registration is ineligible, the prize may be forfeited and PinkyParadise will select another alternate winner to replace. You are highly recommended to use the latest version of web browsers (Google Chrome or Firefox) to join the giveaway. PinkyParadise reserves the right to use any material received during the Contest (including Participants' names, email addresses, photos, etc.) for advertising, marketing and communication purposes. PinkyParadise reserves the right to change, amend, delete or add to the activity terms & conditions without prior notice at any time.